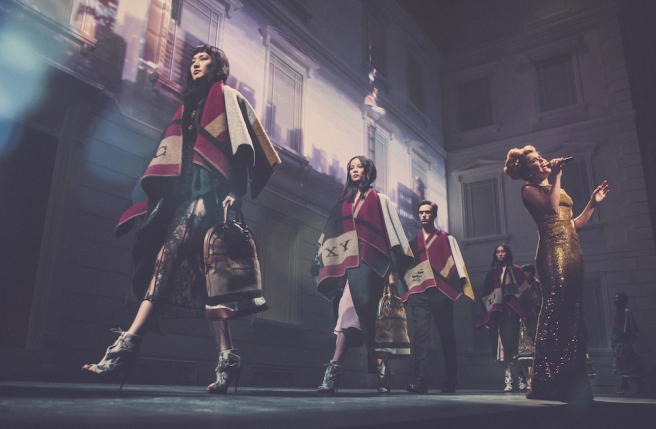 With a few notable exceptions, luxury brands remain slow in building digital capabilities, revealed a report released by Exane BNP Paribas. 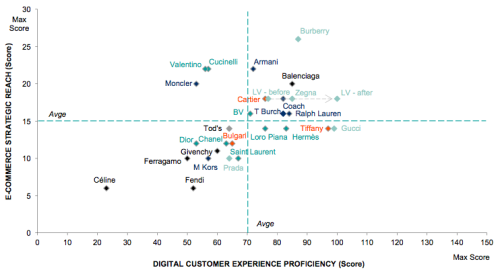 While the impact of Burberry’s digital innovation story may be cooling as a public relations message, the British brand remains the global leader in digital luxury amidst a luxury market full of laggards, found a report released by financial services firm Exane BNP Paribas that graded leading luxury brands on their digital reach and customer experience. The Internet is increasingly important to luxury sales. Indeed, digital is expected to drive, on average, 40 percent of projected sales growth from 2013 to 2020, as opportunities to open physical retail space diminish and consumers increasingly opt for the convenience of shopping online. But the majority of luxury brands remain slow to build their digital capabilities and lack e-commerce sites geared towards important emerging markets, including China, Brazil, Russia, South Korea and the UAE. 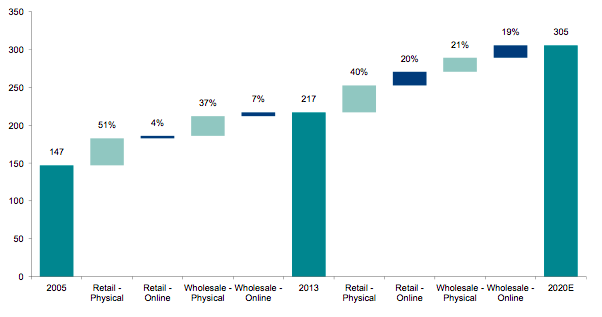 Some lack e-commerce altogether. LVMH-owned Celine, which has neither e-commerce nor a social media presence in any market and whose creative director Phoebe Philo has been quoted as saying “I’d rather walk down the street naked than join Facebook,” received the lowest score. In recent years, as growth in emerging markets — notably China — carried the luxury industry, many brands under-invested in their digital presence. “Luxury companies did not have to develop online, as they could find easy growth elsewhere and many luxury executives grew accustomed to seeing the Internet as a place where you go for bargains,” said Luca Solca, head of luxury goods research at Exane BNP Paribas and one of the authors of the report. Louis Vuitton, in particular, has made significant strides in recent months, revamping its website in July in a move that has been interpreted as a signal of greater digital ambitions. But LVMH’s digital competitiveness across its fashion and leather goods portfolio remains highly inconsistent; along with Céline, Fendi, Givenchy and Dior trailed the pack of brands graded by the report. The gap reveals the lack of a consistent digital strategy across the group, in sharp contrast to Kering, which has benefited from the joint venture established with Yoox in August 2012, said the report. (Gucci develops its digital strategy autonomously, but Kering’s smaller and mid-sized fashion brands, including Bottega Veneta, Saint Laurent and Balenciaga all work within the joint venture). So what will it take for the digital laggards to catch up?